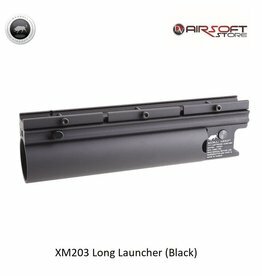 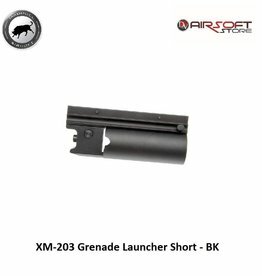 XM-203 is a high quality and affordable launcher. 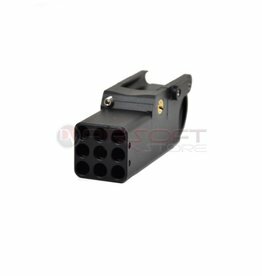 Full metal construction. 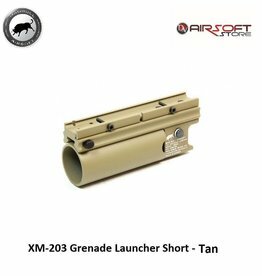 fits most Airsoft rifles, SMGs and even pistols with a rail system.